Many significant historic reconstructions and restorations of homes and buildings owned by private individuals have taken place in Rugby Village in the last few years! It is not an overstatement to say how very important it has been to Historic Rugby that so many people have dedicated themselves to privately reconstructing significant historic buildings such as Onderdonk House, Walton Court, the Alexander-Perrigo Boarding House (and currently, Yandilla) in recent years along with those who painstakingly restored Virgo House and Ruralia. These folks have worked hard to bring back an important era in Rugby’s history by reconstructing or restoring circa 1880’s buildings along Central Avenue (Highway 52) where they are visible reminders of the past that we strive so hard to preserve and interpret. We are indebted to these dedicated and forward thinking individuals, as well as to ALL those who have worked so hard to restore their historic homes in order to preserve the fabric of our past. We appreciate all the homeowners’ of our historic buildings for investing in the future of Rugby! Thank-you for your dedication to our common history! We have news! Yandilla, which was lost to fire in 1898 is now being reconstructed. Ground was broken for this project on September 11, 2013. Yandilla once stood on the corner of Horseshoe Bend Road and Beacon Hill Park, across from Roslyn, and is being rebuilt on the same lot. Congratulations to the new owner, DeAnn Kirgan! Annie Patterson and Donna Heffner, long-time proprietors of the Spirit of Red Hill shop in Historic Rugby’s Board of Aid building purchased the lot across the street in 2010. There were strict requirements that whoever bought the lot had to reconstruct the 1880’s Alexander-Perrigo Boarding House. With only a couple of old photos and a circa 1970’s rendering to draw from this was a difficult task. Annie and Donna broke ground on October 7, 2012 and were able to open the reconstructed building in May of 2013! Congratulations Annie and Donna! 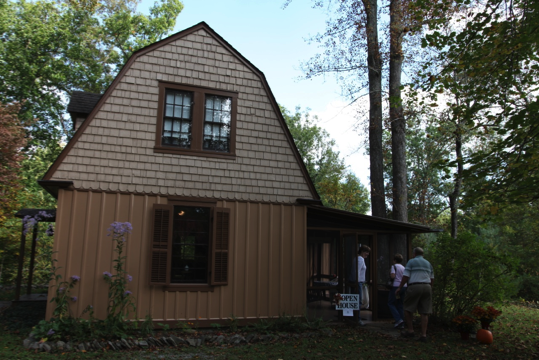 Butch and Cheryl Hodgkin’s reconstructed Onderdonk House in 2007. They sold it in the summer of 2013. 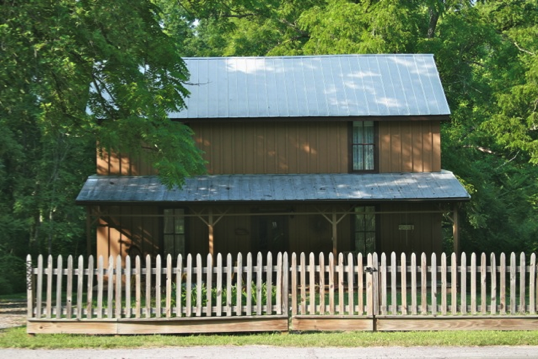 The beautiful home sits on Rugby’s main street and faces the Commissary and Board of Aid buildings. Walton Court, owned by George Zepp and Rick Murphy had survived into the late 1980’s when it burned. 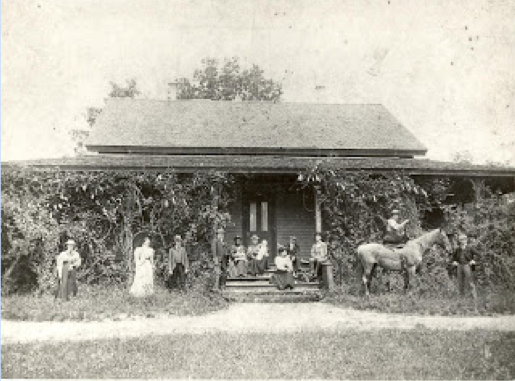 The house had been well documented as George’s great-grandfather Robert Walton was one of the original Rugby colonists. They reconstructed Walton Court in 2007. It sits on the south side of Highway 52 between two original historic buildings; Hughes Library and Roslyn. Ruralia ,Virgo House and Wren’s Nest are recent examples of restoration done on existing historic homes in Rugby. It is wonderful to see these beautiful homes brought back to life by dedicated homeowners! Thank-you! Ruralia was restored in 2005. The owner often opens the house during Pilgrimage and home tours. 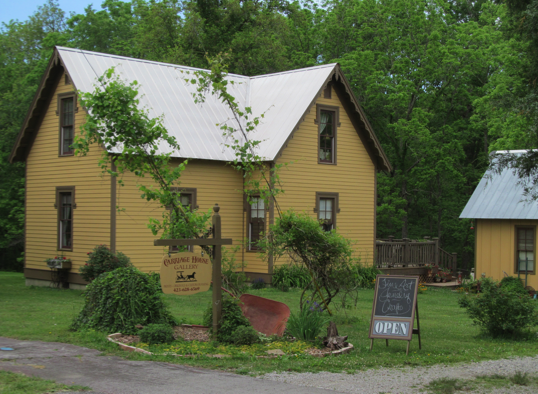 Ruralia is on the west end of the village next to historic Twin Oaks. Virgo House was restored during 2006. 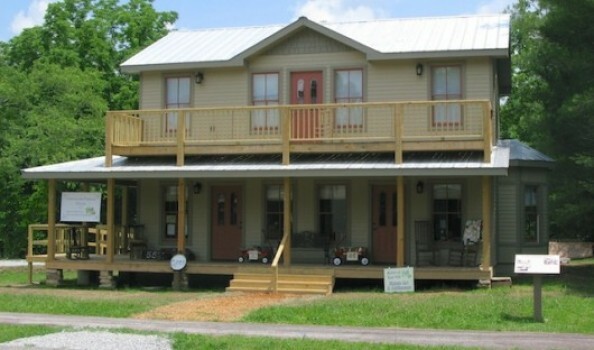 Virgo House sits close to the center of the village and there have been many enjoyable “Monday’s on the Porch at Virgo” spent during the summer months as locals gather to socialize and relax. 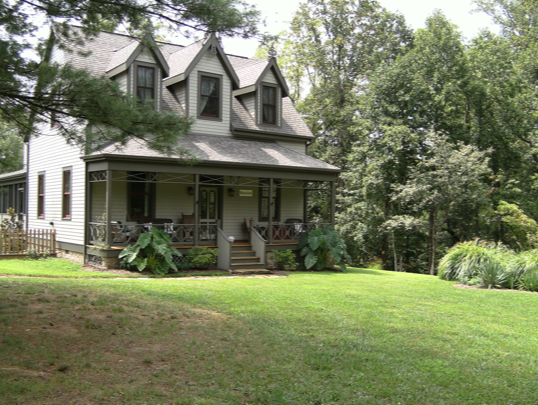 The owners have recently restored Wren’s Nest, which is nestled in the woods behind Adena Cottage. 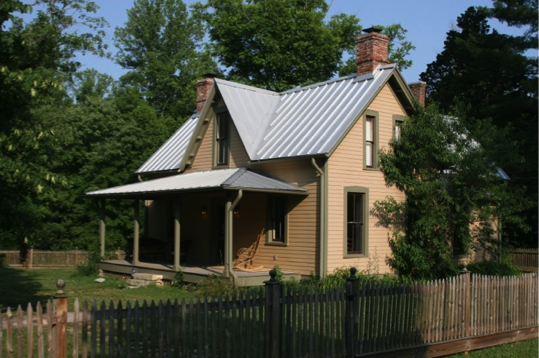 Other restorations of private historic homes in Rugby Village that have been done over the years include The Lindens, Adena Cottage, Ingleside, Oak Lodge, Roslyn & Twin Oaks.